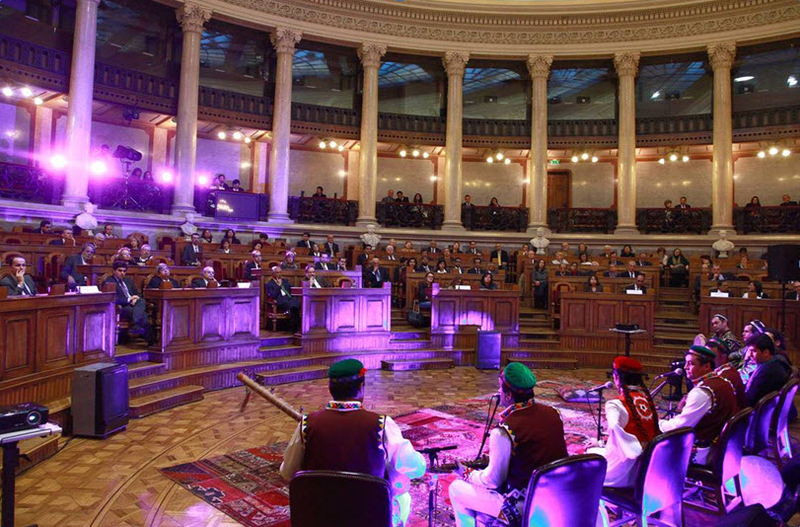 Musicians from the Silk Route performing with the Aga Khan Music Initiative (AKMI) in the Senate Room of the Portuguese Parliament, 26 March 2013. 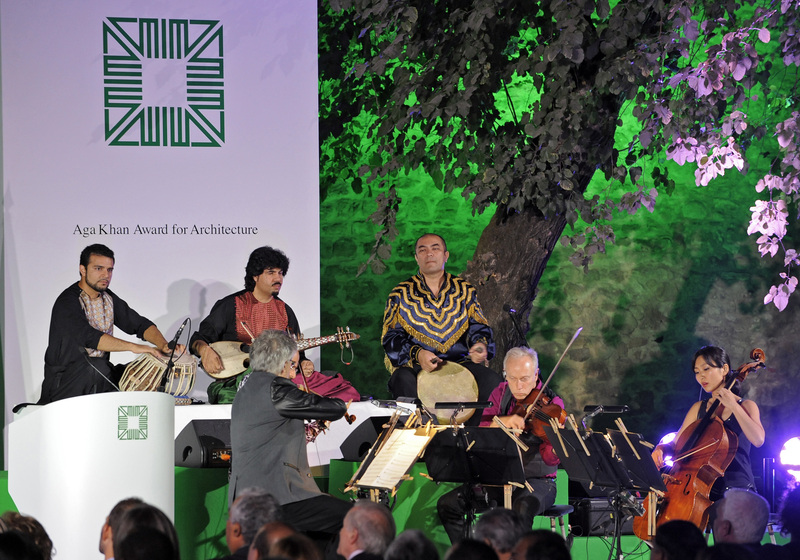 The 2013 Aga Khan Award for Architecture Ceremony in Lisbon included a concert curated by the Aga Khan Music Initiative, featuring the San Francisco based Kronos Quartet and the Homayun Sakhi Trio. In the field of Culture, several initiatives have taken place in Portugal, to promote a better understanding of the legacy, the traditions and the cultural sensitivities of communities from countries with a majority of Muslim population, as well as to promote culture as a powerful catalyst for development. In 2008, “The Path of Princes: Masterpieces of the Aga Khan Museum Collection” exhibition was held at the Calouste Gulbenkian Museum in Lisbon. Opened by Emílio Rui Vilar, President of the Calouste Gulbenkian Foundation and Prince Amyn Aga Khan, who was representing his brother, His Highness the Aga Khan, the exhibition comprised works of Islamic art, spanning over a thousand years of history, from the collection of the Aga Khan Museum, which opened in 2014 in Toronto, Canada. Portugal’s Minister of Culture, José António Pinto Ribeiro also attended the event. The Aga Khan Music Initiative has provided musicians to the Évora festival and organised a concert of the Kronos Quartet and fado singer Tânia Oleiro at the Jerónimos Monastery in 2013. In the same year, the spectacular the São Jorge Castle was the venue for the awards ceremony of 12th cycle of the Aga Khan Award for Architecture which were presented by His Excellency Aníbal Cavaco Silva, President of the Portuguese Republic.